If having a C-Loop (or the C-Loop DIY version) is not great by itself (which we think it is) you can make it even greater by complementing it with a Glide Strap. When you use a Glide Strap (or any of the other gliding systems) you can quickly move from carrying position to shooting position. You can do this because gliding mechanism allows the camera to slide without the need for the strap to move. Yes, you guessed it, Cameron Texter made his own DIY glide strap, and he’ll share his contraption after the jump. Before we get started, here is the list of materials. Two buckles with both pieces that have a firm connection. 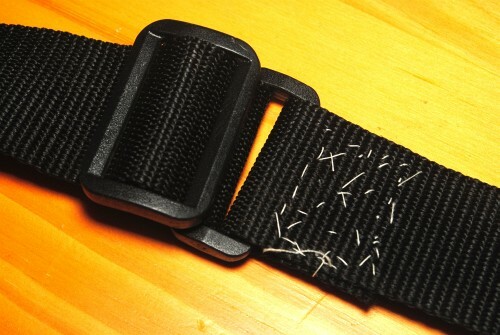 A long enough strap to fit around your upper body with the plastic end for feeding the other end of the strap through it. Four strong key rings, and two little key chain connectors (You can see them between the two key rings in the photos. 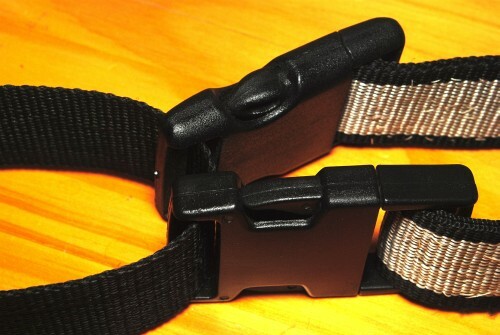 Start off with the buckles, take the strap and feed it through the connector of the buckle, on both buckles and fold a little bit so it won’t come undone. Then sew that little fold on both buckles. Then if your strap is too long, like mine was, cut it shorter, not too short, and then fold the other end over, opposite the buckle and sew that together so it doesn’t fray. Now you have your buckles and their straps finished. To Finish the bucks off, they need to connect to your camera. 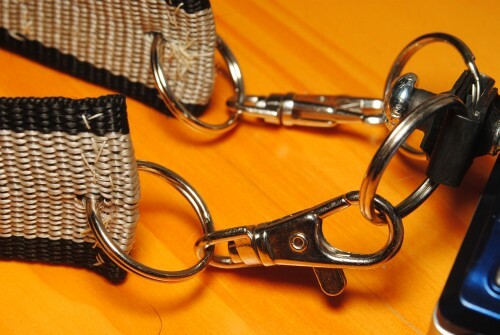 Take the two key rings and poke them through the end of the straps with the buckles. Make sure you don’t put the hole close to the edge, but rather further down. 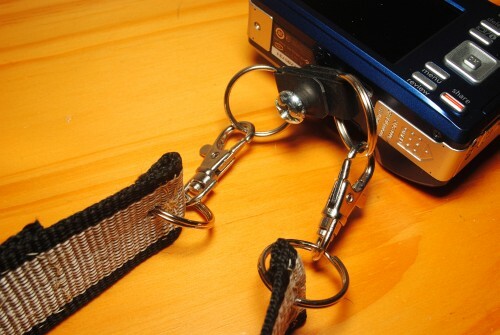 Then take your key chain connector and put the other two key rings on each one, and connect the key rings to the DIY C-Loop. 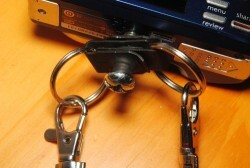 buckles are facing up, this way your camera can hang off the key rings. these a lot so they won’t come undone. There, now you have your very own Glide Strap for little if not zero cash. as we said with the DIY version of the C-Loop, this probably safe for small point and shoot, but it may be too much for a full blown SLR with heavy lens. * C-Loop is a DIYP sponsor and we really love their stuff.